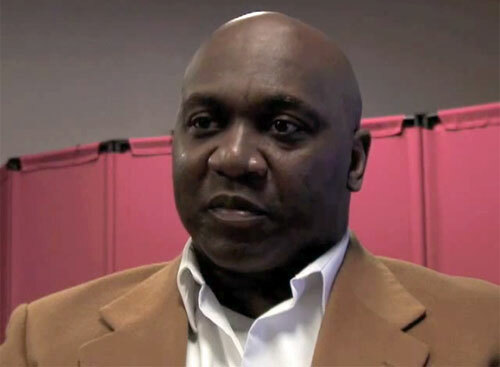 Thurman Thomas is a retired NFL running back who played for the Buffalo Bills from 1988–1999 and the Miami Dolphins in 2000. Thomas is a five-time Pro Bowl selection for 1989–1993 plus he is a three-time First-team All-Pro for 1989, 1990 and 1991 as well as a two-time Second-team All-Pro for 1992 and 1993. Thomas was named NFL Most Valuable Player for 1991 as well as NFL Offensive Player of the Year for 1991. Thomas was inducted into the Pro Football Hall of Fame in 2007 and the College Football Hall of Fame in 2008. Sports Speakers 360 is a booking agent for pro athletes. If you would like to book Thurman Thomas for a speaking engagement, appearance or endorsement, contact a Thurman Thomas booking agent for fees at 1.855.303.5450.